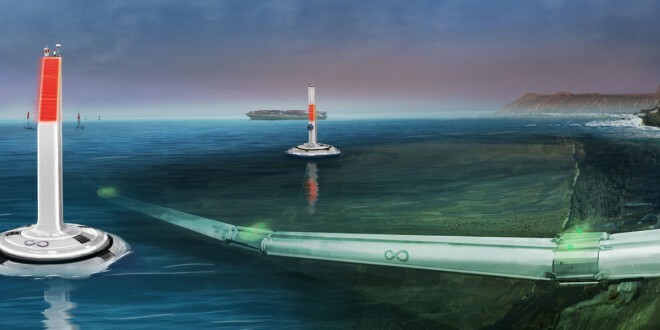 A new start-up has emerged in the Hyperloop project designed and published by Elon Musk. Hyperloop Technologies is a mysterious start-up that came out of nowhere to let us know that they are working on the super-fast transportation lines, but they aren’t following in the same path Elon Musk described originally. While Elon Musk envisioned the Hyperloop as a means of public transportation, the new team at the start-up will be focusing on making the pod optimal for cargo transport. Hyperloop Technologies is made up of Musk’ close collaborators, including Shervin Pishevar, an Uber investor, David Sacks, Peter Diamandis, Joe Lonsdale and Brogan BamBrogan, an engineer who worked on the Falcon 1, among other SpaceX employees and Silicon Valley personalities, who already managed to rake up close to $9 million in funding so that they can begin work on the vacuum train-system that will revolutionize cargo- and public transportation. According to a report on Forbes, the start-up aims to raise $80 million in funding this year, saying that they have a team, the technology and tools they need. With that in mind, we could estimate that the Hyperloop will become a real thing in less than a decade, and the start-up is not the only one working on the technology Elon Musk has freely made available to all researchers and engineers. Hyperloop Transportation Technologies is also working on making Elon Musk’s dream a reality. The team is formed by Dirk Ahlborn, and hundreds of engineers and designers from Boeing, Cisco and Harvard. The HTT ream working on the Hyperloop isn’t as tight-knitted as Hyperloop Technologies, because team members work for free and rely on crowdfunding to get ahead, all the while sparing some of their free time in order to make the transportation method of the future a reality. While HTT is working on making Hyperloop a viable transportation method for the public, Hyperloop Technologies is working on implementing the idea to cargo transportation first. The second team’s idea is a bit more manageable, because they have more room to experiment, as cargo doesn’t usually feel ill when traveling at supersonic speeds in a vacuum. It’s a logical way to go about the project, as having both cargo transportation and public transportation in development at the same time will certainly speed things up. The Hyperloop, when finalized (because it’s no longer a matter of “ifs”), will be the world’s fastest, cleanest way of transportation, as it can go as fast as a plane, but its operation costs less and it doesn’t fill the air with carbon emissions. The vacuum tube will be placed underground, through which pods or capsules filled with people or cargo would be able to travel at nearly the speed of sound. The internal air pressure created by the vacuum will be stabilized through pumps and valves. The capsules will be placed on a magnetic river and will be propelled by linear induction motors we’ve seen in maglev trains. Elon Musk is still involved with the development of the Hyperloop, as he has announced last month that the first test track for the machine will be located somewhere in Texas. From what we understand, the test track will be made freely available to all researchers and developers working on the Hyperloop, and maybe it will even have test tubes ready for technology enthusiasts who want to try out the newest public transportation method. Until we can effectively test the Hyperloop, there are still many wrinkles to smooth out with the project. Traveling at the speed of sound isn’t an easy feat, you know.